1:16 and 1:1 triangular scale, free download pdf file from below. You need to print out the above data on card 100 x 150 mm in size. diorama of our 1:16 paper models. purchase via this online shop. 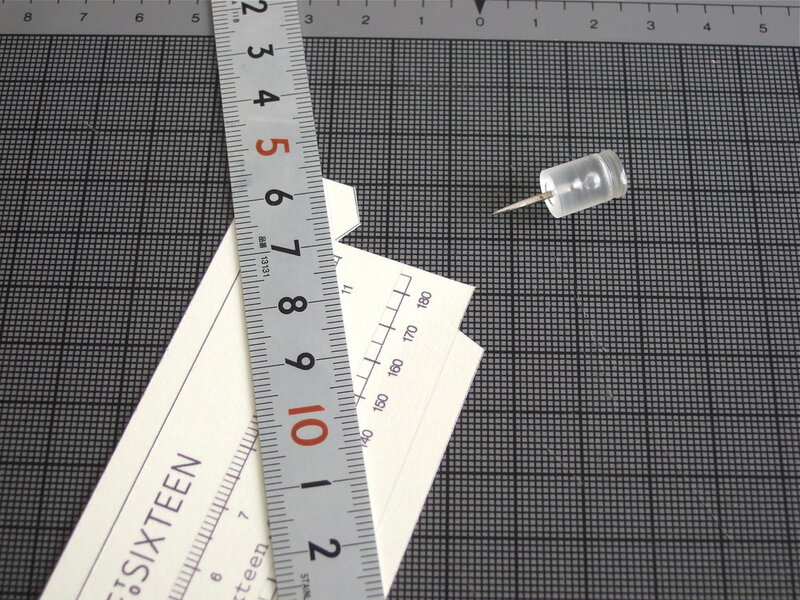 This triangular scale is useful when you want to make your own additions to the diorama of our 1:16 paper models. To celebrate our Onetosixteen online shop, we would like to share this pdf file for you as a free download, to cut out and assemble. Print out the data on card 100 x 150 mm in size. 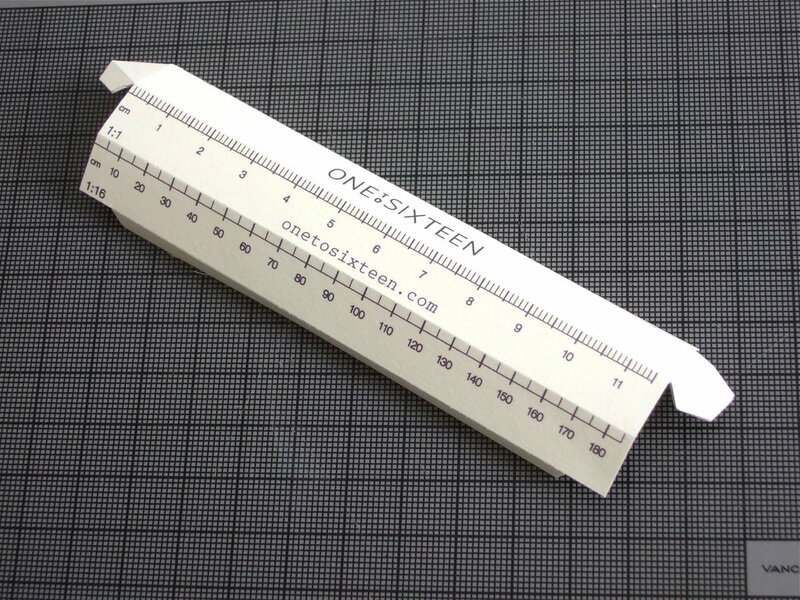 With a scalpel or craft knife, cut out the outline, and also the straight black line above the Onetosixteen logo. 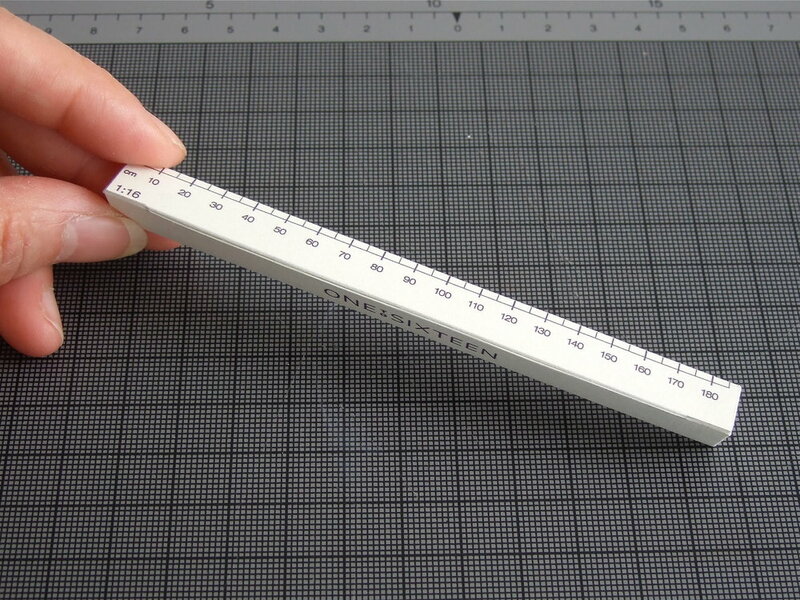 Then with a pointy tool like a compass point or pin, score grey lines, to make them easy to fold. Fold all crease lines to make the trianglular shape, then push both ends inside the shape. 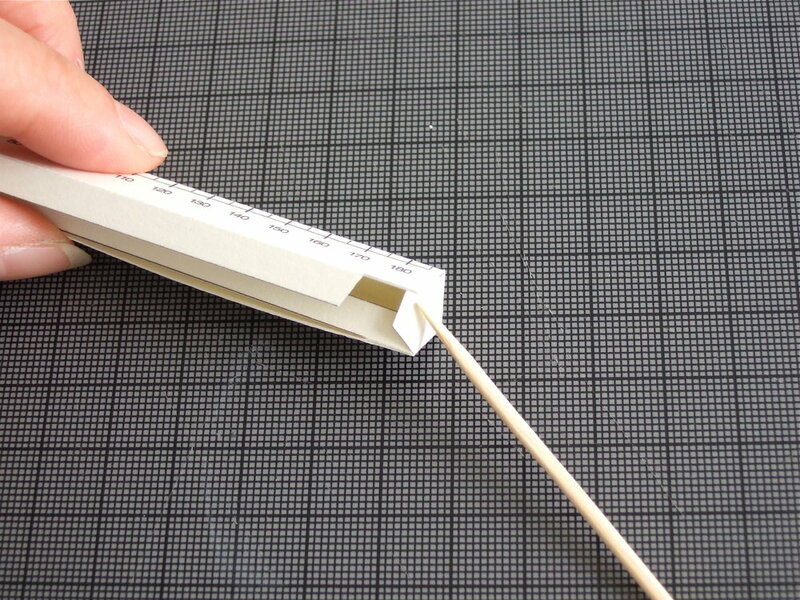 Insert the margin of paper into the cut slot, then apply glue between gaps using a pointy stick (such as a cocktail stick) Hold the corner joint until the glue dries. So, let’s measure the 1:16 room. The width of this floor is 1.6 meters and the top of Federica’s head is about 1.2 meters when she sits on the Hill House 1 chair. When you want to add your own people or props to this room, this triangle will help you to make the scale of those additions accurate.